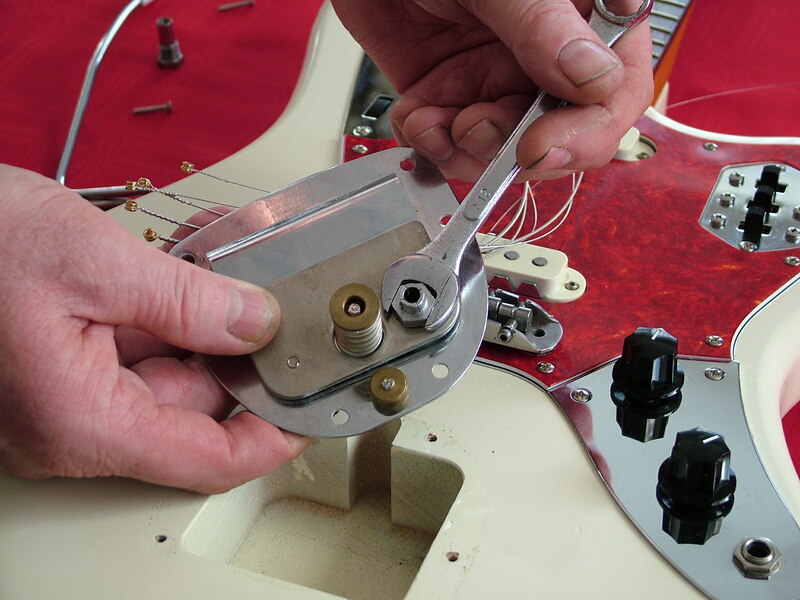 First slacken or remove the strings then undo six screws holding the tremolo assembly. 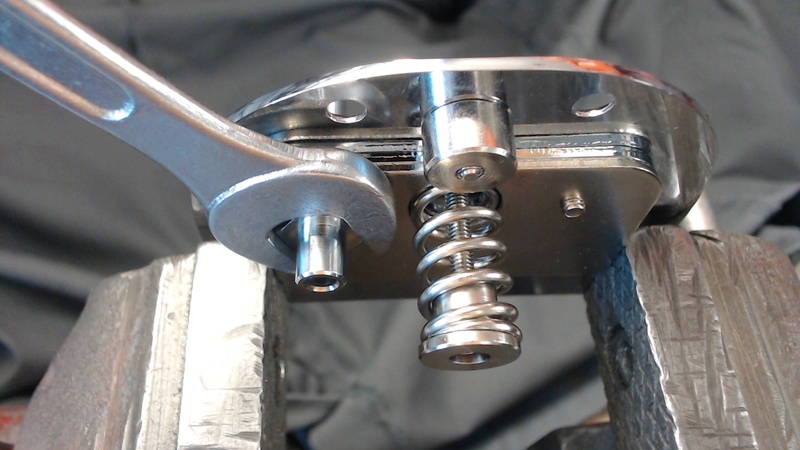 Fit the Staytrem collet and tighten firmly. 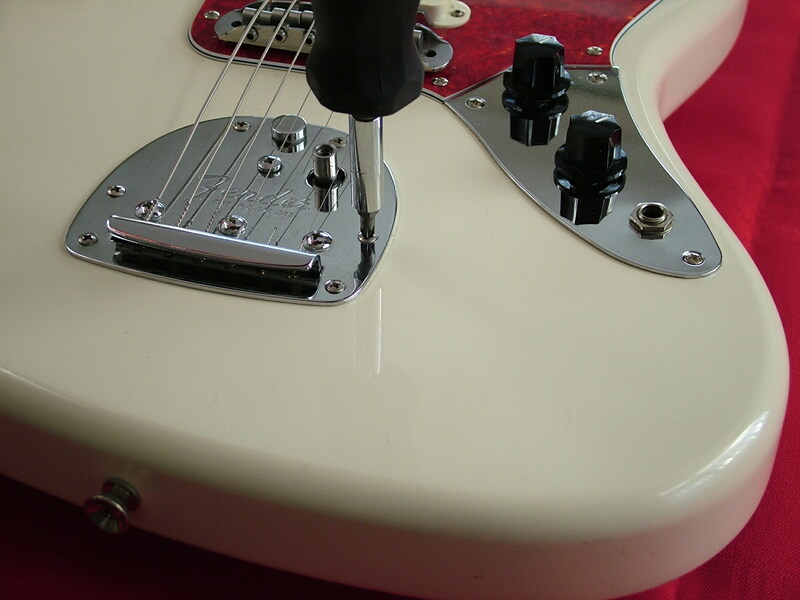 Replace the tremolo assembly and six screws, tighten firmly. Sometimes the existing collet can be difficult to remove, in this case it will be necessary to grip the floating plate in a vice to get more force on the spanner or wrench. 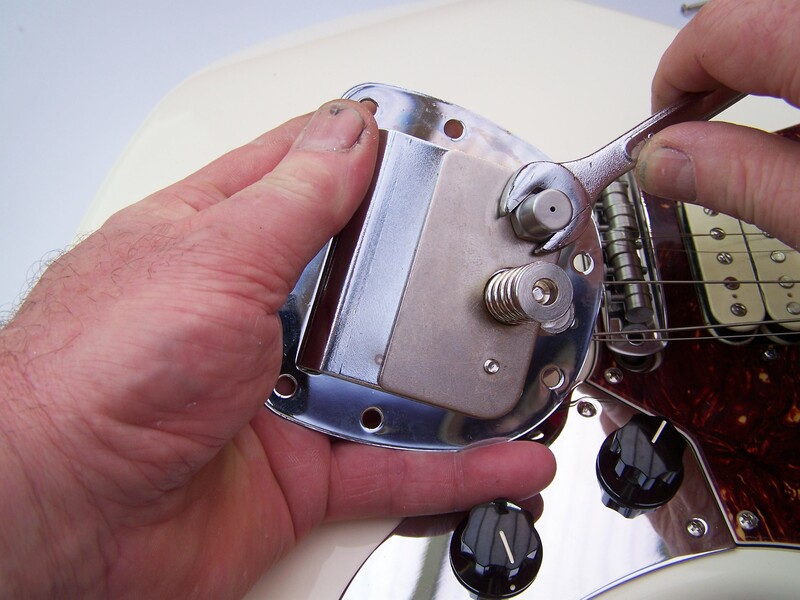 Grip the plate as shown below and this will avoid damaging the chrome on the top plate.